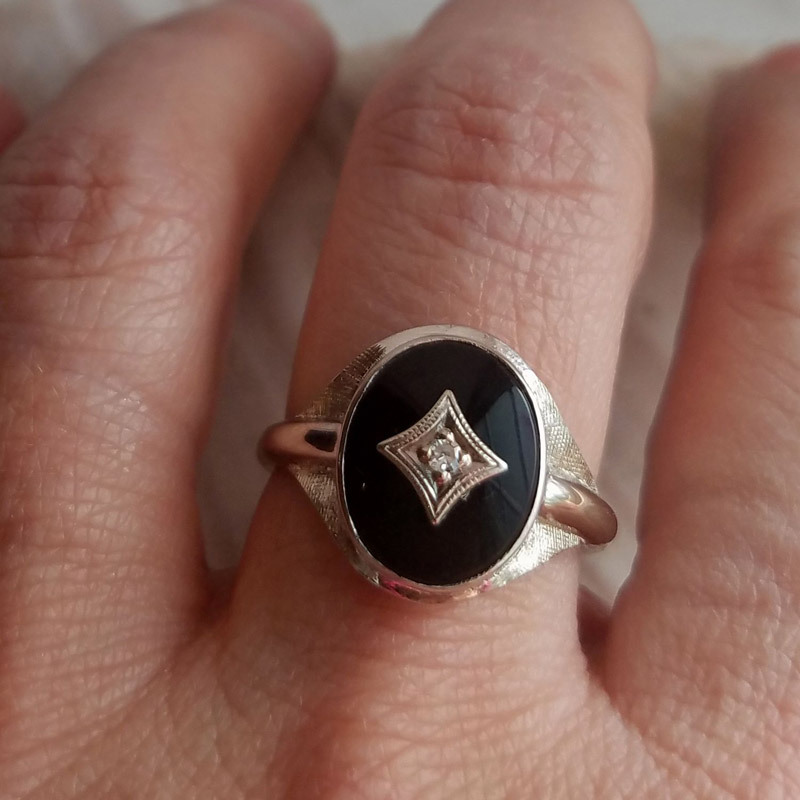 Beautiful vintage 10k white gold black onyx and diamond ring. The ring mounting features florentine and high polish finishes. 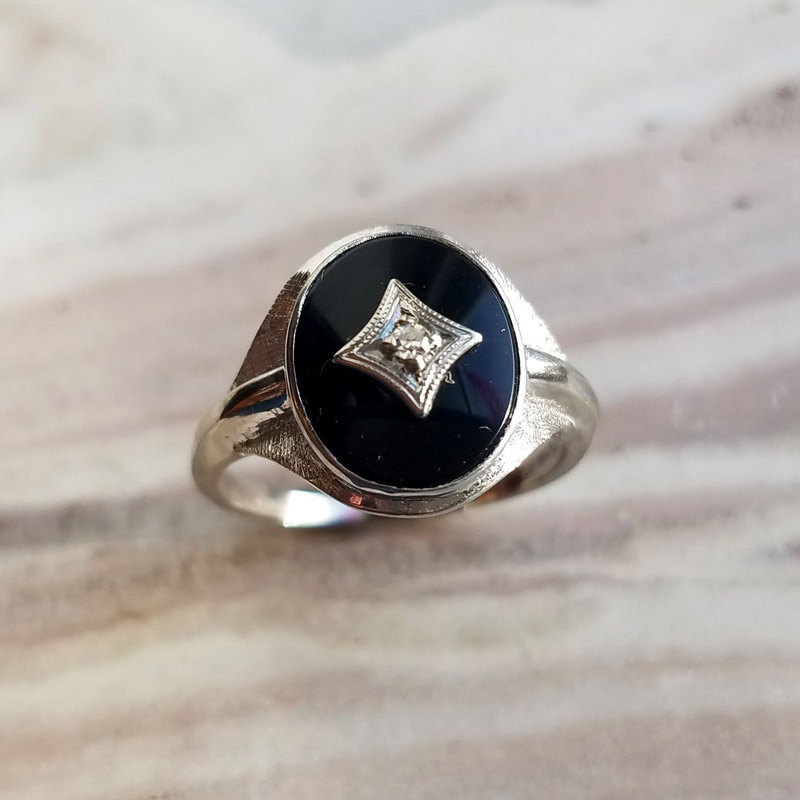 Oval black onyx is bezel set, single cut diamond is set in the middle of the diamond-shaped accent trim. 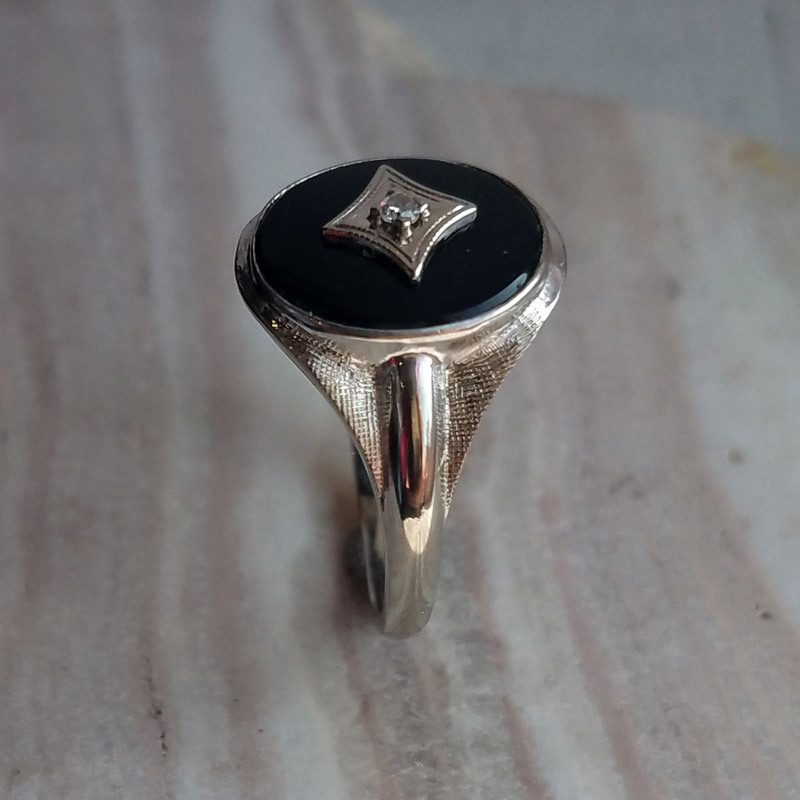 Onyx is approximately 12x10mm. Weight of the ring is 2.9 grams. Ring is currently size 7 but can be resized, please inquire.